No matter what issues befall any client, the need for an attorney who has a comprehensive understanding of the law, the courtroom and the dynamics of litigation is paramount. America's Registry of Outstanding Professionals has named former police officer Amiel Wade one of the top attorneys in the country. His vast array of experience as chief counsel in both jury and non-jury trials has given him an established reputation of excellence, and the variance in cases he has managed has led to him becoming an expert in representing businesses and start-up companies as well as individuals. Wade Law Group's intellectual property practice serves companies of all sizes, from startups to multinational conglomerates, offering the vital services that will protect intellectual property and trade secrets. They will assist with copywriting, U.S. and foreign trademarks, and resolving internet-based issues such as domain name disputes, e-commerce matters and computer hardware and software licensing. The licensing and contracts practice within Wade Law Group offers their vast experience to effectively manage issues regarding negotiation and drafting of technology licenses and transfer agreements of every sort. The firm's licensing experience covers all forms of technology and proprietary rights as well. The experienced team of attorneys at Wade Law Group specializes in civil litigation and business law, offering their services to both businesses and individuals. Committed to seeing clients through some of the most trying legal troubles, this multi-service firm's core litigation practices extend to include divorce and family law, serious personal injury, labor and employment disputes, probate and real estate and construction issues. From the first steps in litigation to the showdown in the courtroom, this Bay Area law firm exercises a steadfast commitment to the bedrock principles of providing excellent representation: preparation, integrity and reliability. These Bay Area trial attorneys also understand the delicacy with which corporate litigation needs to be handled, and though they will effectively and aggressively protect their clients' interests, they will do so with sensitivity to their clients' public image, personal values and budgetary requirements. Wade Law Group is not only a San Jose law firm; they also have offices providing attorneys and civil litigation in Santa Clara and Gilroy, CA. From corporate mergers and acquisitions to new construction law to California community property laws and child custody disputes, Wade Law Group attorneys will use every available resource to effectively manage the Bay Area legal needs of all of their clients. "The attorneys at Wade Law Group are always prepared. They reviewed all relevant information and held sessions with us to strategize. They are aggressive advocates… They know how to get needed results and they are committed to providing the highest quality of legal service." – David Wang - Vice President, Fibera, Inc.
"Their fees are reasonable and well worth the value of their services. They are efficient and thorough and are extremely knowledgeable of the law. They are very professional, efficient, courteous & thorough - very client driven" – Jim Crumbacher - Associate General Counsel, At Road, Inc.
From the first steps in litigation to the showdown in the courtroom, this Bay Area law firm exercises a steadfast commitment to the bedrock principles of providing excellent representation: preparation, integrity and reliability. 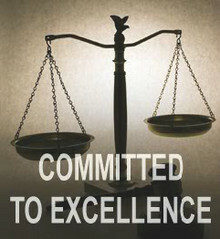 Attorneys at Wade Law Group are dedicated to providing excellent and distinctive services to all clients.